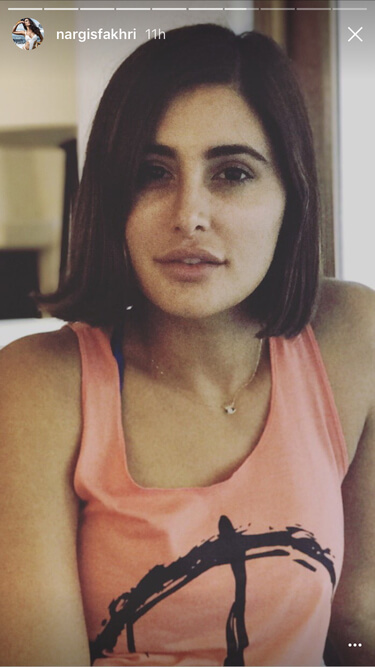 Rockstar Actress, Nargis Fakhri again got her hair chopped into a bob hairstyle and it looks absolutely stunning. Nargis Fakhri haircut is the reminder for the summer heat. 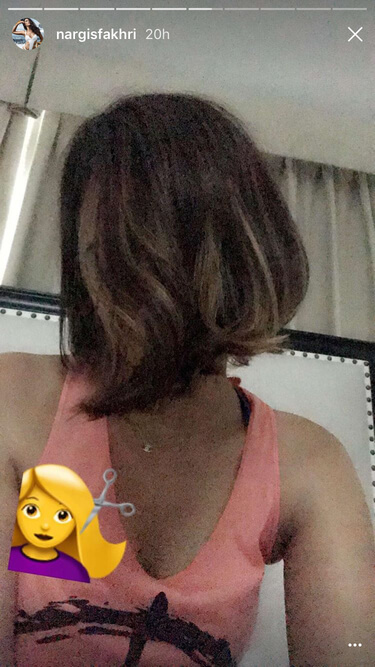 Recently, the actress posted her haircut pics on Instagram and seeing the look it’s a bob haircut. She experimented several looks in the past like, long over bob and fringe cut. But this time around she’s serious and went all the way to a fit bob haircut. Nargis made quite a news over the Internet when she experimented on her hair in the past. Not once but a couple of times and all the events have their unique story to tell and we’ll get to them in detail. BTW, first discuss the current look. 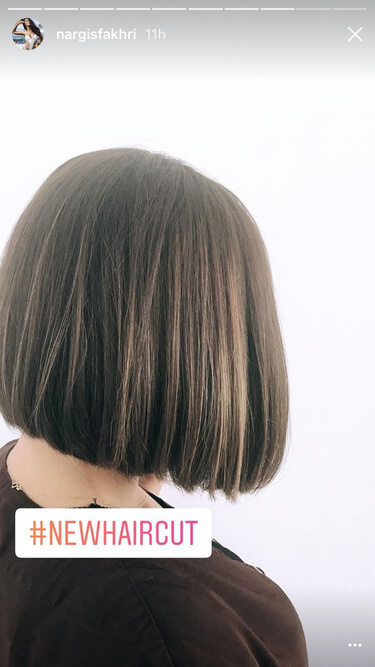 Yesterday the 37 year old glamorous actress posted about the haircut in the Instagram Stories. A final look of the hairstyle has been also posted with a dedicated post from her official Instagram handle. Here’s the Instagram Stories pics that was posted by her which gives a clear after haircut details. This is how the actress look was before under going for a haircut and her lustrous long hair is really gorgeous. Some of the fans might not like her new makeover. After posting these stories, the actress made an official posting in her account about the new look and here it is. She hasn’t revealed anything about why the makeover until now. But we’re assuming it was to tackle the summer heat as we all seeing many actresses follow the trend these days. We’ll wait if she spokes anything about her new look and we’ll update about here. Before wrapping up let’s talk about her previous makeovers over the years. 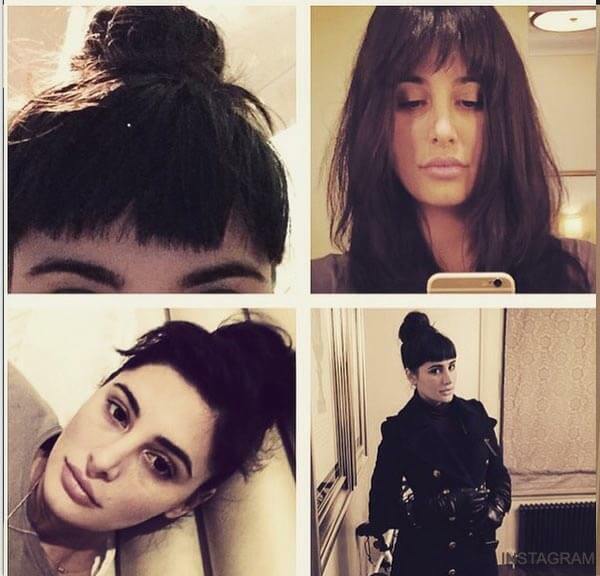 This is not the first time Nargis Fakhri haircut made a buzz over the Internet as mentioned earlier. In 2015 her makeover was discussed for days because it was a self-given one. Yes, you heard it right in the past Nargis gone for Fringe Bangs which she gave it herself and here’s the look of it. The perfect fringe cut that too using own skill is really amazing. She carried the look for some days will elegance and variations taking advantage of the look. The Dishoom actress beauty skills and maintenance should be an inspiration to others. Because at an age of 37 she looks below 25 and carries the look perfectly. What do you guys think about the whole new Nargis Fakhri Haircut Bob look? Cool or not so cool? As per our opinion, she looks stunning as always. Spread the word about Rockstarstar chick’s new look on Social Media and do leave a comment if you’ve something to say about it.